Kids don’t spend your summer indoors! 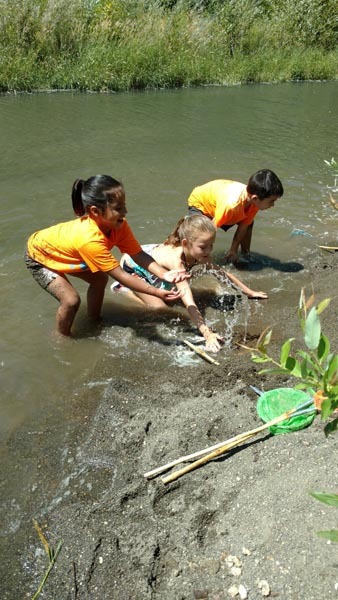 Discover how much fun it is to get outside exploring, playing, and learning about nature! 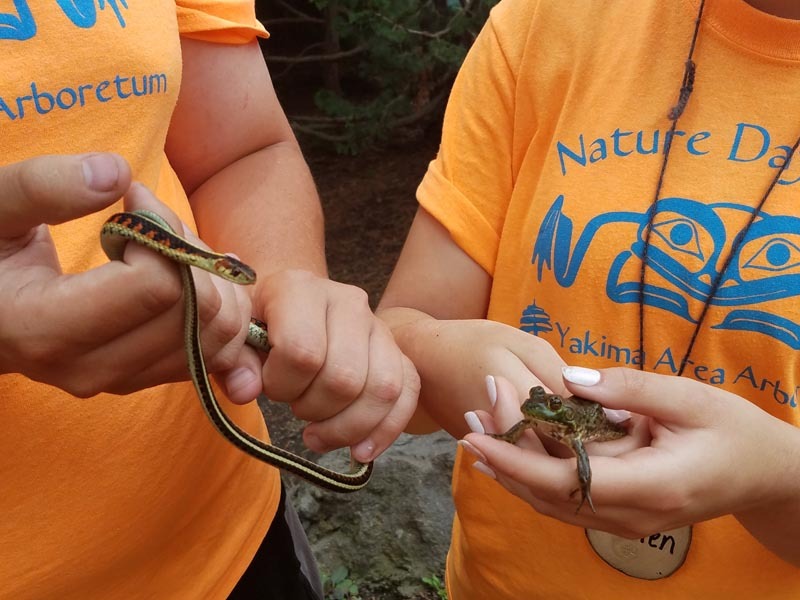 The Yakima Area Arboretum is committed to offering first rate environmental education to people of all ages. 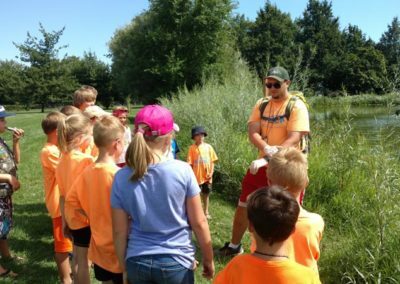 We believe that facilitating positive outdoor experiences while developing an understanding of local ecology yields a powerful and lasting educational experience that helps to create a more informed, sensitive, and thoughtful citizen. 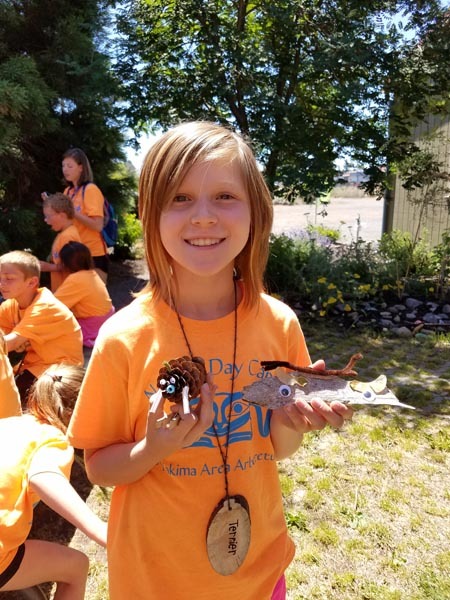 Through our Nature Day Camp Program we strive to provide a collaborative learning environment that blends the arts, sciences, and playfulness, that actively engages the hearts, hands, and minds of our students. Campers will spend their days outdoors, exploring, conducting experiments, gathering and documenting information, listening to stories, playing games, climbing, walking, building, observing, collecting, getting dirty, wet, and so much more. 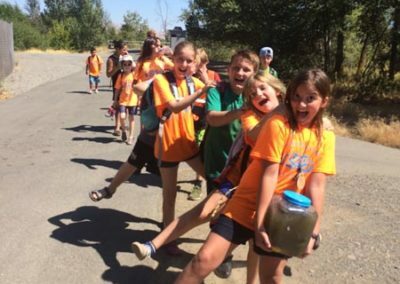 At the end of the day your camper will arrive home tired, a little messy and full of stories about their adventures. Eager to do it all again the next day. 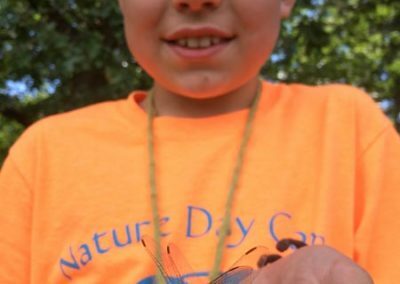 Campers will be inspired to create art through nature. 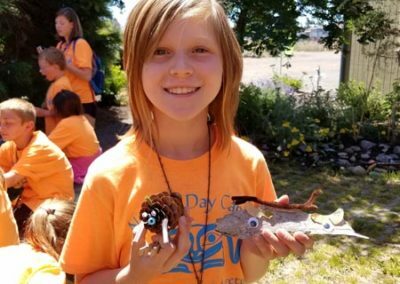 Lessons include different methods artists use to create art that is inspired by nature and created with objects found in nature. 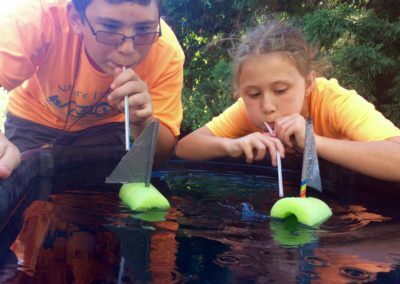 Campers will get wet this summer with a week of water exploration. Discover the critters that live in our water, learn where our water comes from, and cool off with water inspired games. 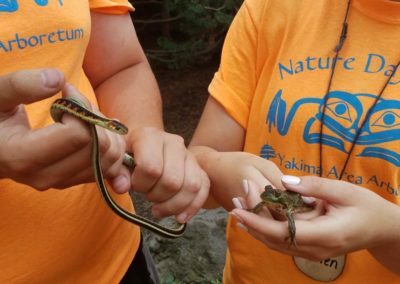 Explore the smaller creatures of the Yakima Area Arboretum. Campers spend their days looking for creatures that might be leaping, slithering, or crawling through the trees. 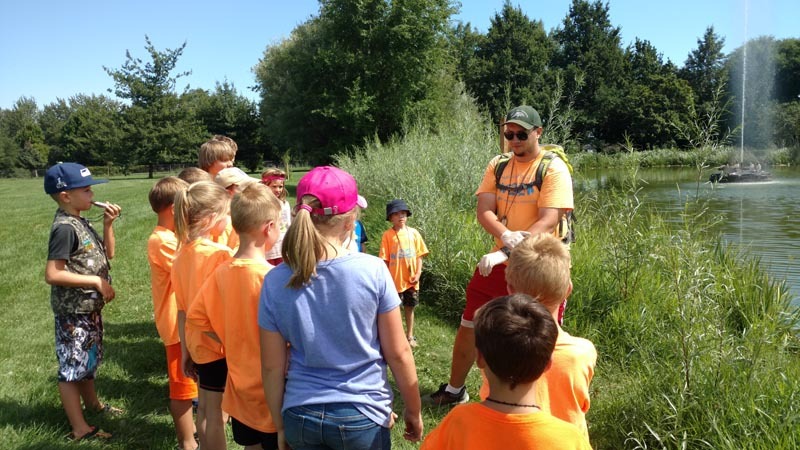 Campers learn what it takes to survive in the wilderness. 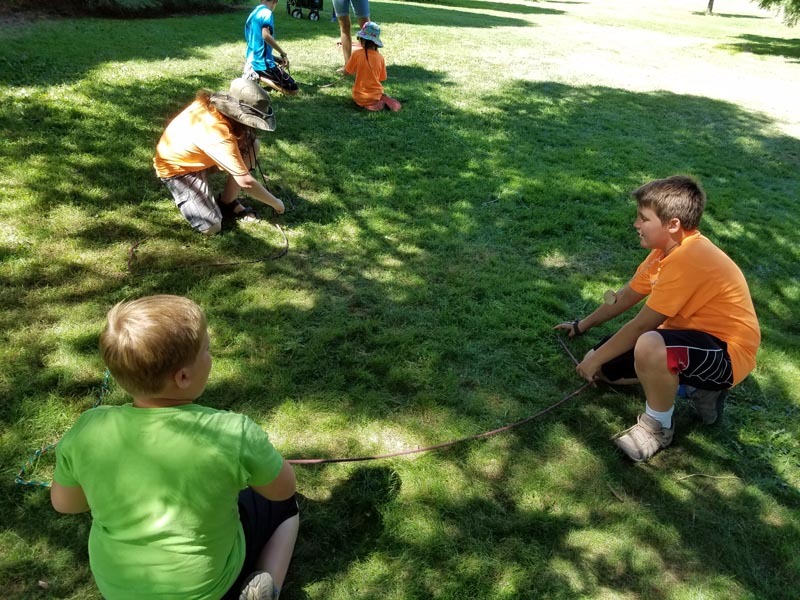 Learn how to create a survival shelter, how to use a compass, purify water for drinking, build a fire, and identify native plants and animals. 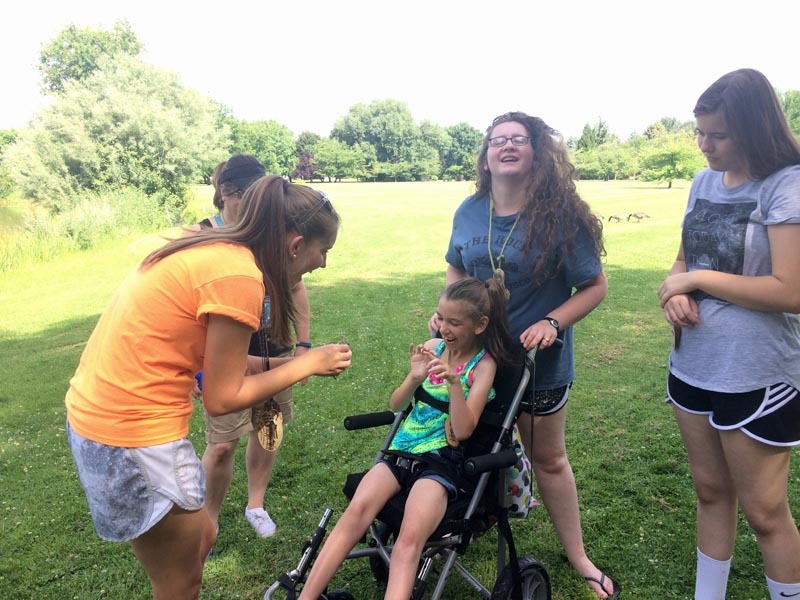 *Camps run weekly except for the week of 4th of July which typically has a modified schedule. 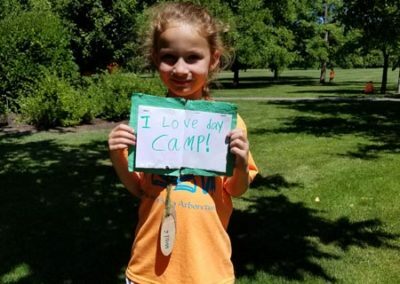 Camp tuition includes one (1) T-shirt and twice daily snacks. *Your child’s spot will not be held, or discounts applied, until full tuition is paid or you have made prior arrangements with Arboretum staff. Experience has shown us that Nature Day Camp can be very challenging for Kindergarten aged children and younger. 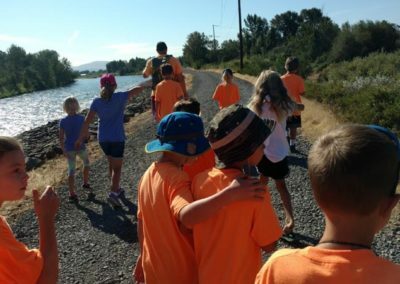 That is why the Yakima Area Arboretum has moved to a school-grade limit to determine camp readiness for your child. 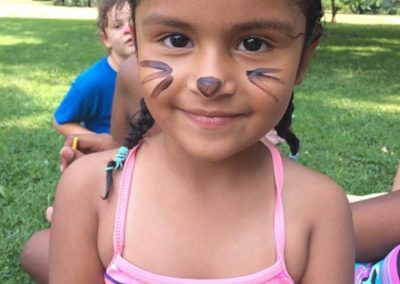 We will only allow campers that have completed a full year of Kindergarten and are going into the 1st grade to attend camp. 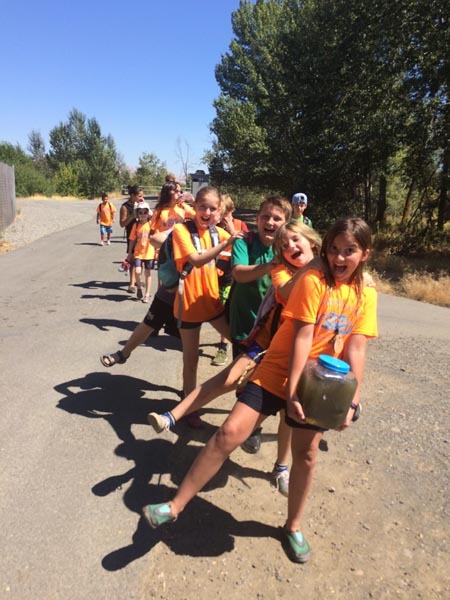 Campers can expect to walk 2+ miles a day during camp, in all kinds of weather. 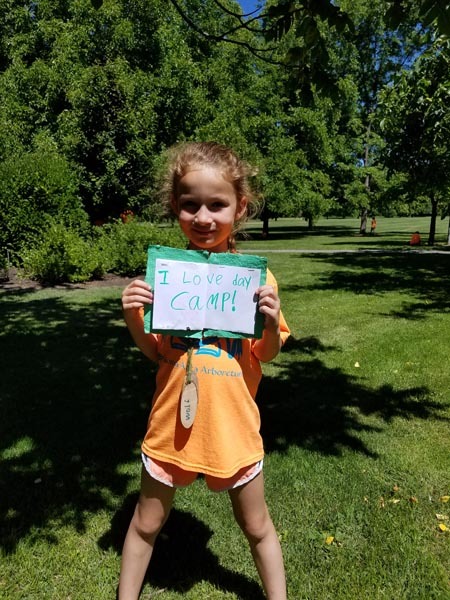 Each child is required to have a completed “Health and Registration Form” on file with Arboretum staff before starting camp. 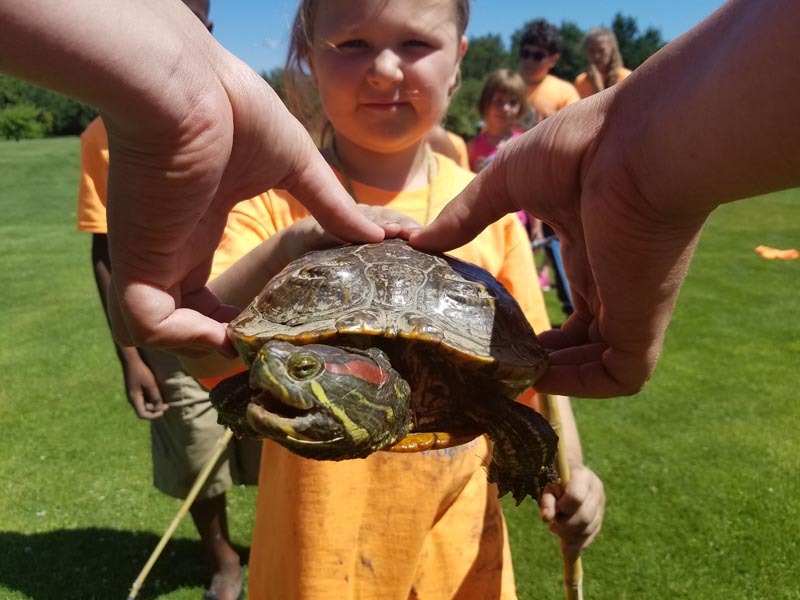 Download the 2019 Health and Registration form or pick one up in the Arboretum’s Jewett interpretive Center. Turning these forms in early will help us better serve your child/children. Submit completed Health and Registration to the contact information below. 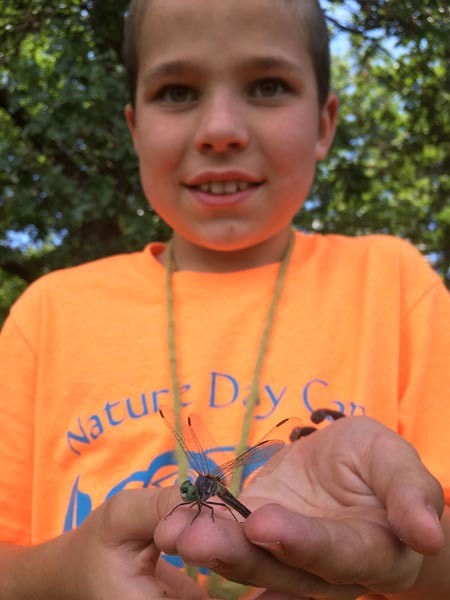 Every child deserves the opportunity to go to Nature Day Camp. 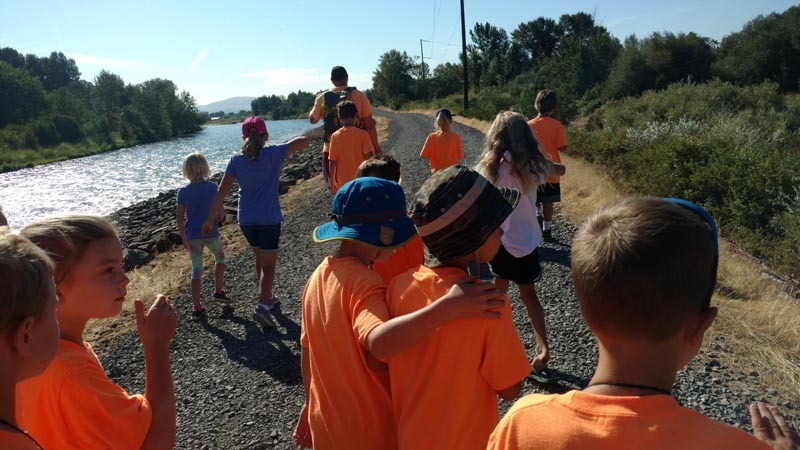 Thanks to the generosity of our sponsors the Yakima Area Arboretum is pleased to offer your family financial assistance as long as funds are available. To learn more about the Arboretum’s scholarship fund please download a 2019 Scholarship Application. 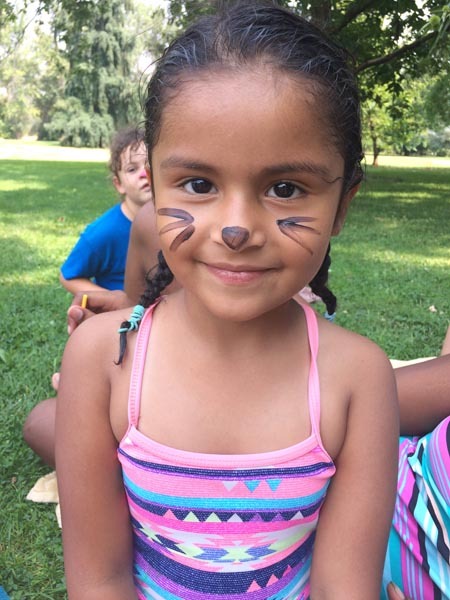 Scholarships are limited to one (1) week of camp per child and up to three (3) children per family. Submit completed scholarship applications to the contact information listed below. 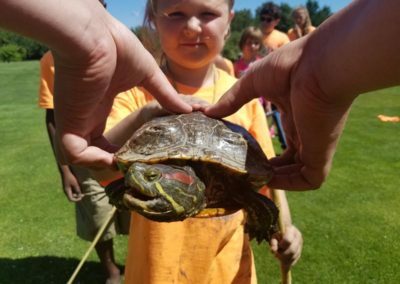 If you need to cancel your child’s Nature Day Camp session for any reason, please contact us immediately. If the session is cancelled with at least 21 days’ notice you will receive a full refund minus a $30 processing fee. If the session is cancelled with less than 21 days, no refund will be given. 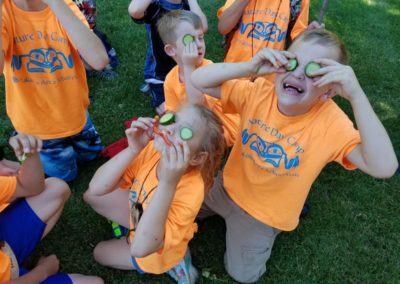 Pre-arranged after camp childcare is available from 3 pm – 5 pm ($15/child/hour). Call the Arboretum at 509-248-7337 to make arrangements. Have more questions? Need to submit a completed Heath and Registration form and/or scholarship application?